It is believed that, if sent to Uzbekistan, Ali will be persecuted for this activity as well as being openly gay. 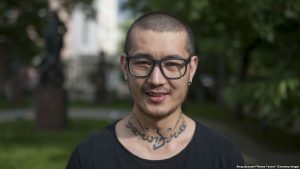 At the start of August, Ali Feruz – trade unionist, LGBT+ activist and journalist for an opposition newspaper in Russia – was unjustly arrested and threatened with deportation to Uzbekistan. Through his position as a journalist, he exposed how migrant workers and national groups are discriminated against in the country. He also worked alongside our sister party in Russia, Socialist Alternative, to establish the Independent Trade Union of Journalists, which was incredibly important in exposing the horrific attacks on LGBT+ people in Chechnya. It is believed that, if sent to Uzbekistan, Ali will be persecuted for this activity as well as being openly gay. This made him so desperate that he attempted suicide on hearing the decision in court. He fled Uzbekistan after being arrested and tortured by security forces and eventually went to Russia in 2011 where he has been consistently denied asylum by migration forces even though he has been living there for six years now and his relatives (including his mother) all hold Russian passports. While his deportation was suspended on the 8th September, an appeal court ruled to keep him detained which has the potential to be dangerous since he reported being beaten and ill-treated on the day of his arrest. Ali is one of 2000 people have already been arrested for political activities in Russia this year. The Socialist Party and its sister parties across the world have rallied in solidarity with Ali Feruz and LGBT+ activists in Russia. 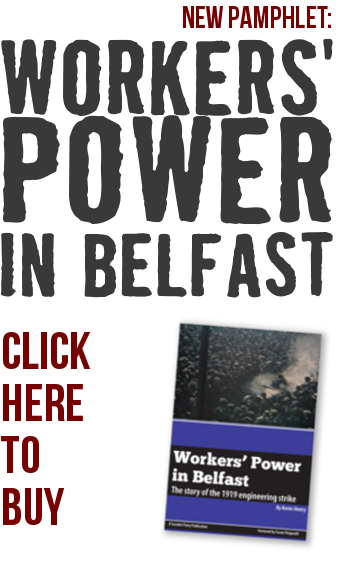 In Belfast and Derry, we intervened into this year’s Pride demonstrations with a campaign to raise awareness and build support for Ali’s case. We must demand that Ali Feruz be immediately released by the Russian authorities and protected from forced return to Uzbekistan.